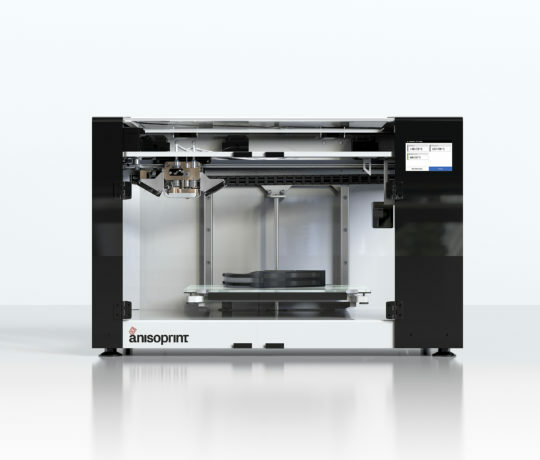 The Anisoprint Composer is a Material Extrusion 3D printer capable of printing two materials in one print job. The second extruder can print composite carbon fiber filament (CCF) which enables you to reinforce the part while printing. 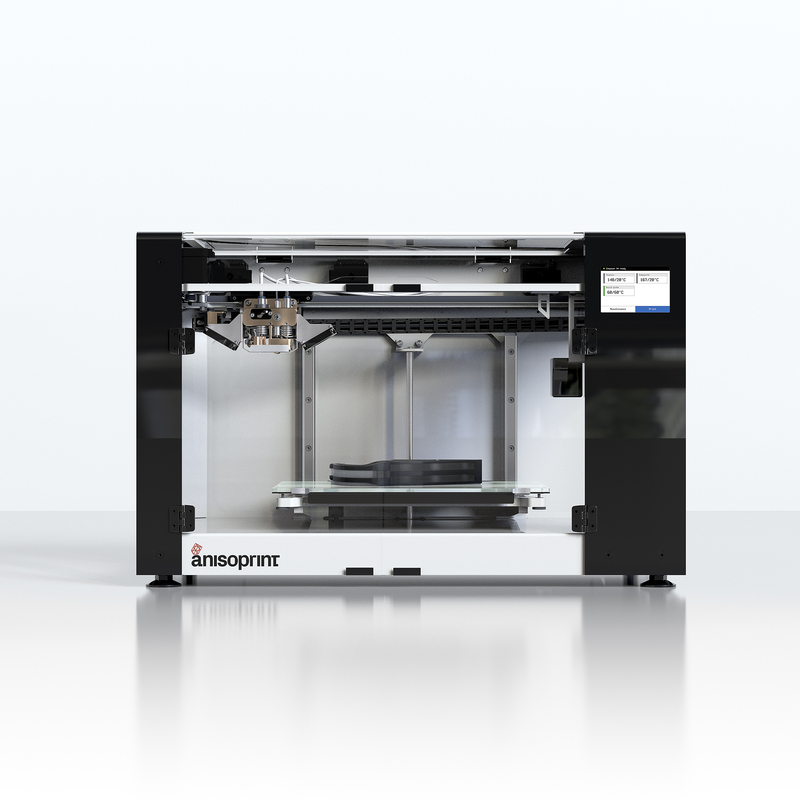 This 3D printer is able to print very durable parts with continuous carbon fiber technology. The Composer print in FFF, but also using a technology called CFC (Composite Filament Co-extrusion). CFC technology continuously blends carbon fiber with plastic filaments. 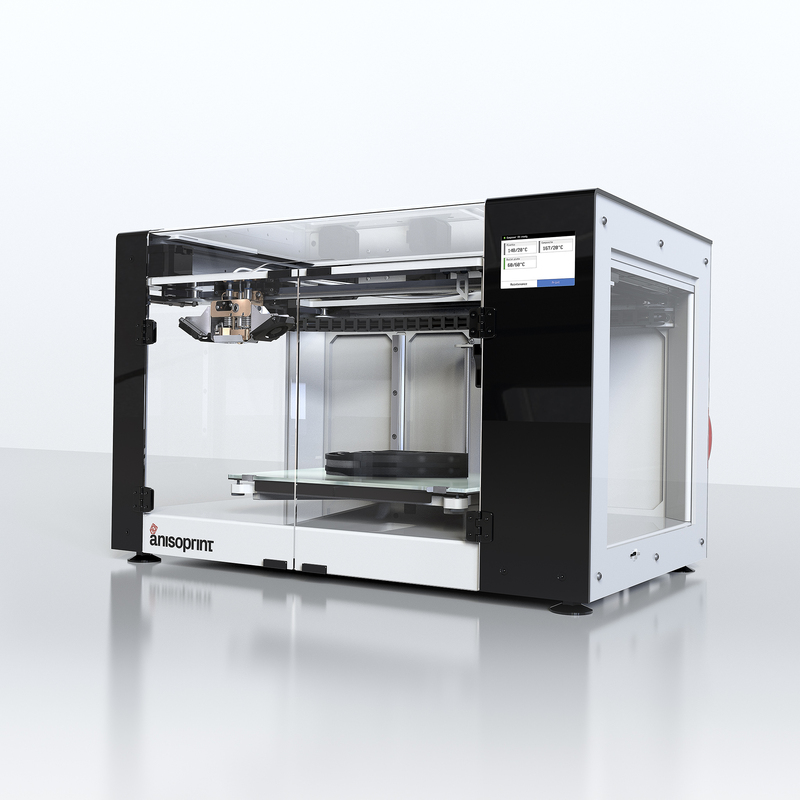 This allows 3D printed parts to be very strong and resistant. According to the manufacturer, CFC technology allows the material to be “15 times stronger than simple plastic, 7 times stronger than composite plastic, and 4 times lighter than titanium”. 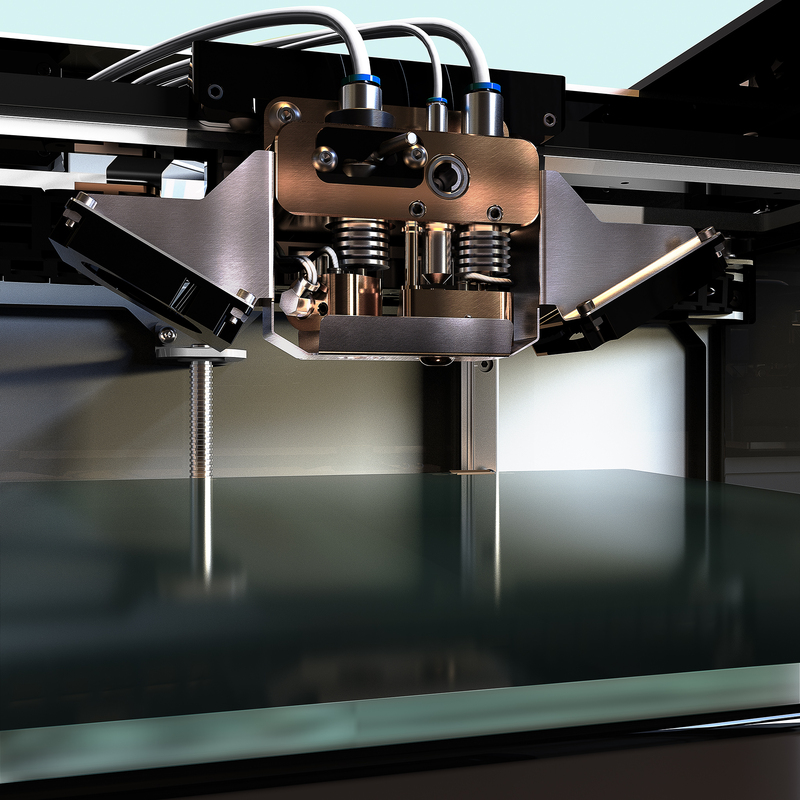 CFC technology allows you to print with different materials. However, it is with PETG that continuous carbon fiber will give a better result. The first nozzle print with standard thermoplastics (ABS, PLA, PETG, NYLON …). The second nozzle inject two types of very distinct materials, such as standard thermoplastics and continuous carbon fiber thanks to its specially designed head for this purpose. This extrusion method also allows the use of soluble support materials, useful in the development of complex parts. 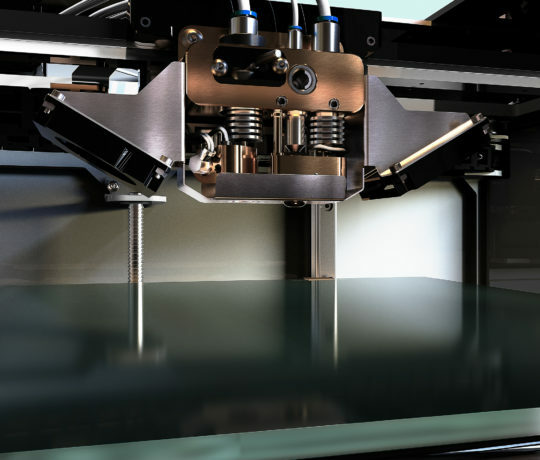 The nozzles can reach a temperature of 250 ° C.
The print bed can heat up to 120 ° C. This temperature allows the use of demanding materials such as ABS, Nylon or Polycarbonate. To maintain an optimal internal temperature. 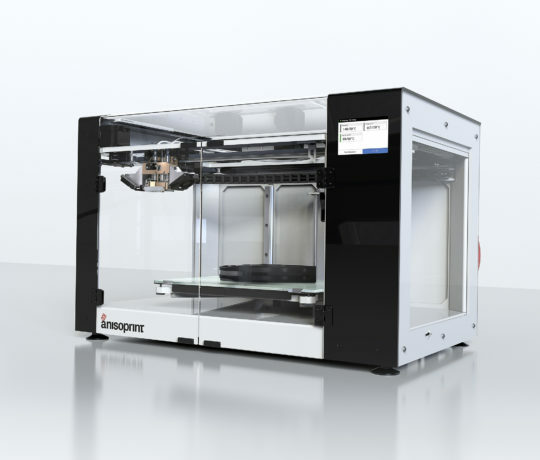 This compact 3D printer comes with proprietary Anisoprint Aura software. It is still compatible with Cura and Slic3r, but only for 3D FFF prints.